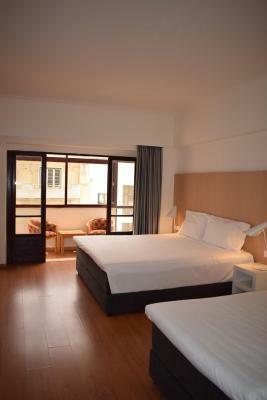 Lock in a great price for Stay Hotel Coimbra Centro – rated 8.1 by recent guests! The Stay Hotel was well kept and comfortable. The staff was friendly and helpful, and they spoke English well. 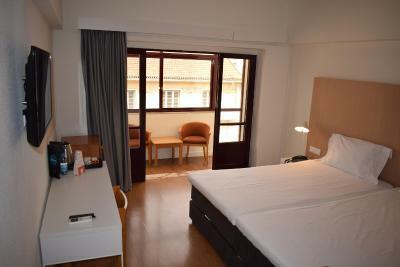 The location, about halfway between the bus station and the city center, was convenient. There was a secure place to leave luggage, and a nice lounge to hang out. Recommended. Clean, comfortable, convenient location to the historic sites. The room was big and clean. The bed was comfortable. There were fresh orange juice and hot nata for breakfast. The coffee was also delicious. 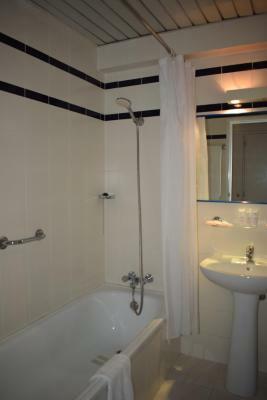 It is close to bus and train station and it is located between two bus stops. We like it. While walking up to it I didn't really expect anything major as the surroundings looked somewhat worn down etc. However the hotel itself surprised very positively. It's modern, it's clean and it's central. 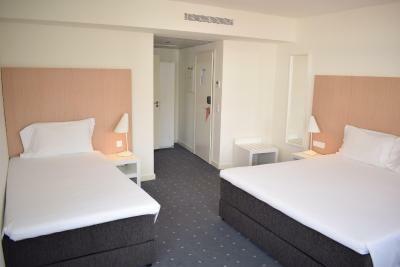 Very comfortable room, the breakfast was very good, especially the continental type. 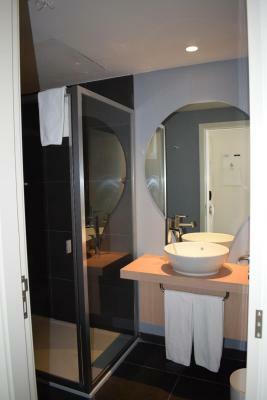 Very close to the city center, very kind staff, comfortable room. I also would have try the breakfast, it looked very good. Excellent location e very nice staff! Modern design and very clean. 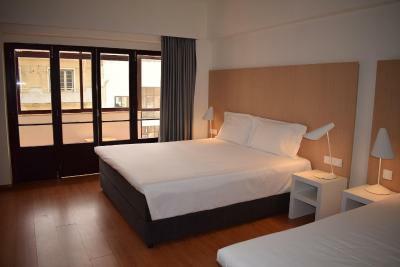 Stay Hotel Coimbra Centro This rating is a reflection of how the property compares to the industry standard when it comes to price, facilities and services available. It's based on a self-evaluation by the property. Use this rating to help choose your stay! 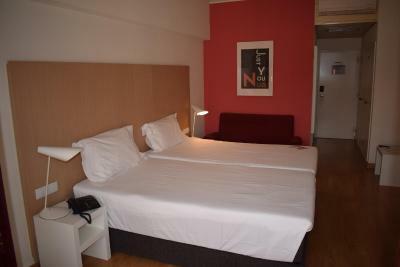 One of our top picks in Coimbra.The Stay Hotel Coimbra Centro is located in the heart of Coimbra city center, at a short walk from the Mondego River and 1,000 feet from the Coimbra Train Station. At 0.8 mi are the Botanical gardens of Coimbra University, while the famed Joanina Library is at 0.6 mi. 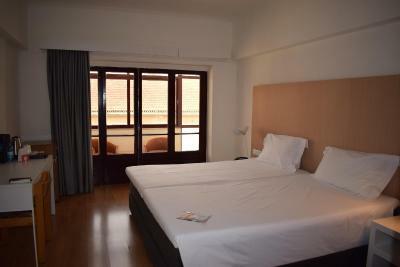 It offers rooms with a balcony and free WiFi. 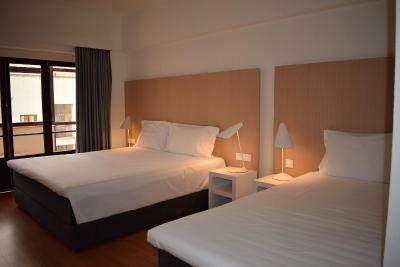 The air-conditioned rooms are bright and airy. All have cable TV and a safety deposit box. 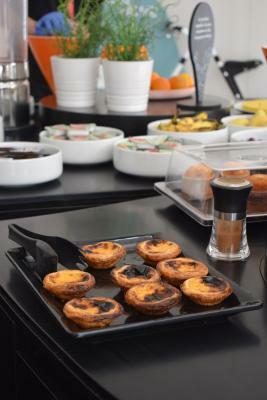 The Stay Hotel Coimbra serves a rich buffet breakfast consisting of a range of sweet and savory options. Local restaurants are available nearby, some of which are at just a 5-minute walk. The Santa Cruz Church is just 1,000 feet from the The Stay Hotel Coimbra. 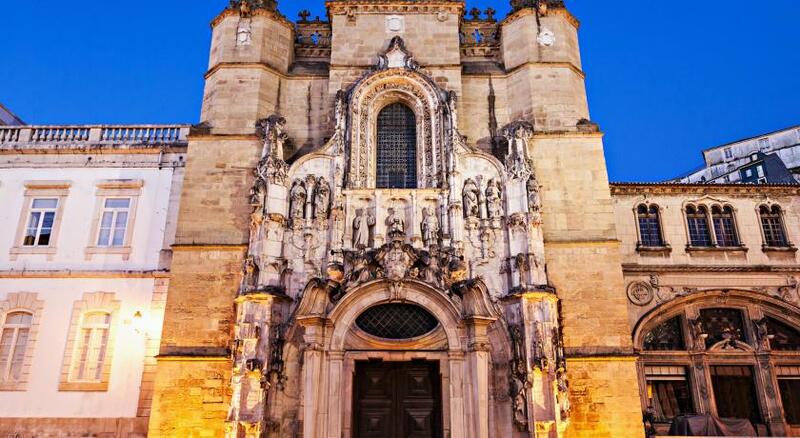 Old Coimbra Cathedral and the university are in the historic center, a 10-minute walk away. 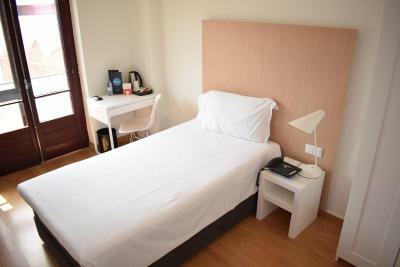 When would you like to stay at Stay Hotel Coimbra Centro? 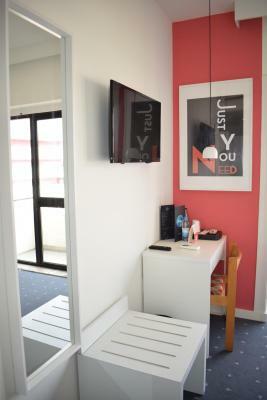 Bright room with air conditioning and a cable TV. Room size varies from 13 to 62 ft². 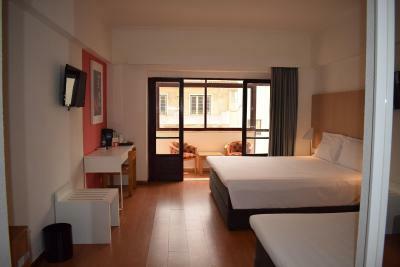 Bright room with air conditioning and a cable TV. The philosophy of our hotel is to ensure the best experience and for this purpose we have a highly professional service and fully equipped facilities and at your disposal. 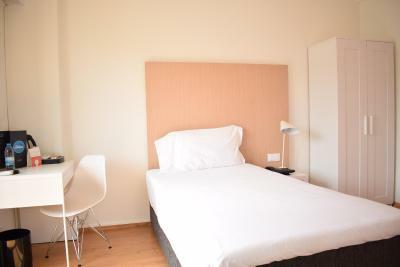 House Rules Stay Hotel Coimbra Centro takes special requests – add in the next step! Stay Hotel Coimbra Centro accepts these cards and reserves the right to temporarily hold an amount prior to arrival. 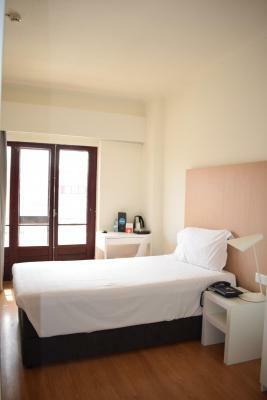 Please note that reservations of more than 9 rooms are subject to different cancelation and deposit policies. Public parking is available at 350 feet from the property. Room without a window, just a kind o "window" in the top of the room wall, not a hotel that we can say fair "value for money". 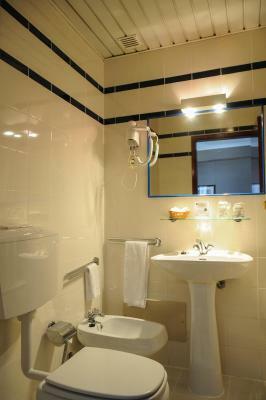 The bathroom was not as new as the one in some of the photos, but clean nonetheless. A smell of smoke (maybe from a lower floor room window) lingered in when we arrived. Very spacious room and very good breakfast. Good value for money and not so long a walk from the old town if that's why you're in town. The bathroom had no working ventilation. The door to the terrace was broken. The room had a "mini bar" that was actually itself a hotel for dirt and fungus. There were no extra pillows. All together they advertise as 4* but the room was a wabbeling 3* if. Maybe one light more in the room, even if the low light could set a good mood.